Many people wonder when is the right time to replace the fixtures and faucets in their homes. We’ve been offering our repair and installation services in Lombard for a long time. During this period, our high quality services and reasonable prices have allowed us to build a strong reputation in the industry. At S.L.S Plumbing Heating & Cooling, we employ only well trained and experienced fixture, sink, and faucet repair and installation experts. 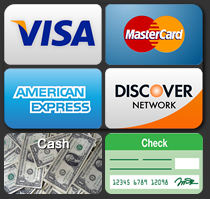 We also provide our customers with discounts and coupons on a regular basis. If you’ve been looking for experienced technicians, give us a call at 630-495-0960. At S.L.S Plumbing Heating & Cooling, we understand the reasons your sink, faucet, and fixtures get damaged or worn out. Once these have been damaged, our experienced technicians make every possible effort to resolve the issue for the customers. Regardless of how complex or serious, we can easily resolve your problems. Over the years, we’ve received numerous reviews and testimonials from satisfied customers. Hard water refers to the buildup and staining on your faucet from standard mineral filled water. This often occurs as a result of water, which is not properly treated for minerals such as calcium. Over the years, these stains can become a major issue in your home and cause many other problems. 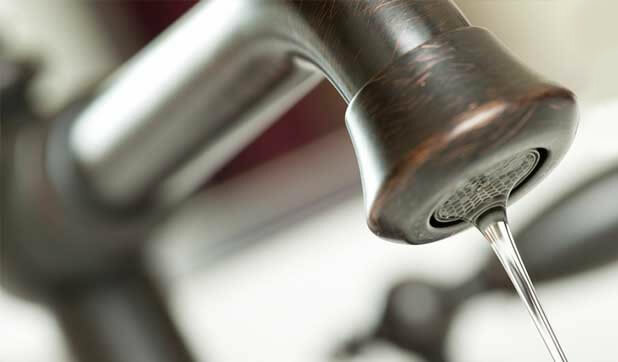 When hard water gets severe, water doesn’t run through the faucet preventing it from working properly. When this happens, we can provide you with affordable replacement services. Our technicians restore the flow of water in your home and make sure you don’t experience any further problems. Faucets need to be replaced for many different kinds of problems. However, the most common reason to replace your faucet is the presence of rust on or in the faucet. It’s worth mentioning that by the time rust begins to form on your faucet, a significant amount of damage has already occurred. The most efficient way to resolve the problem is to replace the faucet rather than trying to fix it. Leaking faucets may or may not be replaced. This depends on the reason for the repair. Our experienced and well-trained technicians analyze the problem and come up with a solution. Our experts can also help you choose a new faucet within your budget. We discuss everything with you before recommending any options. Everything discussed about replacing a faucet also applies to standard sink replacement. If your sink basin has stared rusting or you can see rust on the edges of your sink against the counter, you may have to replace it. However, there are also many other reasons to replace your sink. Our experts can give you a clear idea about the extent of the problem. It’s important to replace the sink when it’s loose in the setting. This needs to be done to avoid moisture from enterting the space between the sink and the counter. Excess moisture in such areas can lead to mold and mildew growth. This can cause numerous health problems. Our technicians specialize in sink installations and make sure there’s no unnecessary space between the sink and the counter. In order to avoid leaks in the future, you need to have the water pressure tested on a regular basis. It makes sure your faucets, sinks, and fixtures remain in excellent condition. It’s worth mentioning that high water pressure is the most common reason for leaks. It’s also important to have the water supply lines checked on a regular basis. In most cases, leaks occur when your old water supply lines become corroded or clogged. When this happens, you should consult professionals. S.L.S Plumbing Heating & Cooling has offered exceptional services for a very long time. We believe in offering our services at affordable prices to make sure our customers remain satisfied. Our experienced and skilled professionals can help you prevent many different kinds of leakage problems in your home’s plumbing. If you think it’s time to replace your fixtures, sinks, and faucets, you should give us a call at 630-495-0960. It’s easy to schedule an appointment with us. We provide you with prompt services to make sure the problem is resolved quickly.